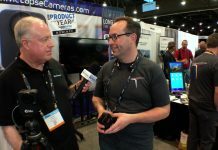 At NAB in Las Vegas, we caught up with Benjamin Nowak, the founder of Cinamaker, to learn about the latest improvements to their iOS-based streaming software. 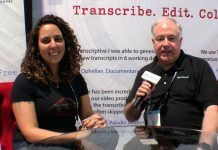 Some new additions include their Live Editor, capture of video streams for later use in post-production software such as Final Cut, and integration with Adobe Premier. External cameras can also be part of the production; Benjamin talks about how that works and what it costs.